The people on this page include my wife's paternal great grandparents, grandfather, great uncle, maternal grandmother, great great great grandfather, and great great great great grandfather. 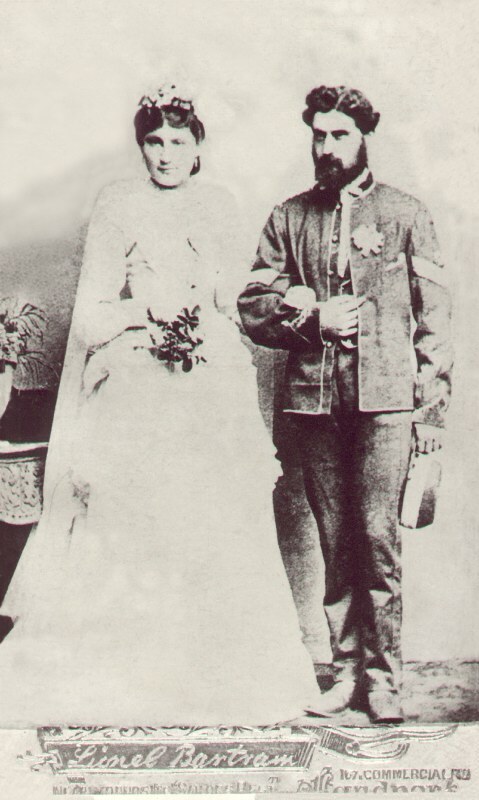 The 1873 wedding of George Morrison & Harriet Shead at Ootacamund, Nigiri Hills, India, where he was a ‘Serjeant, Sappers & Miners’ in the Royal Engineers. 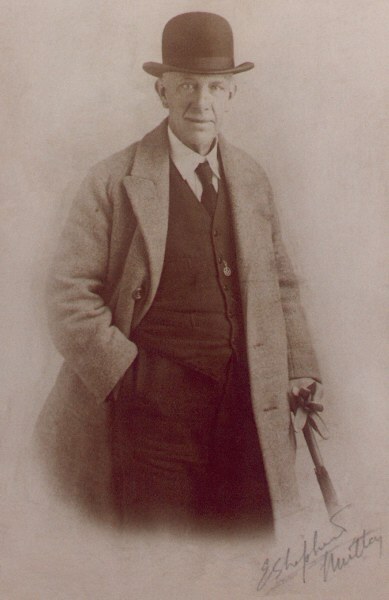 George Morrison was born in 1846 at Deskford, Cullen, Banffs., Scotland. As a young man, he joined the Royal Engineers and served in India. In 1873, he married Harriet Shead at Ootacamund, Nilgiri Hills, Tamil Nadu, India. For the rest of his Army service, his family followed him around the world, whilst growing in numbers, from India, to Malta, to Bermuda, to Ireland, to Chatham, Kent, to Plumstead, London. In 1875, he was serving in the Army at 'Wellington', but we are unsure which country this was. By 1879, he was serving in the Army at Prospect, Bermuda, West India, as, ‘9163 Sergt. George Morrison, sapper, 36 Company, Royal Engineers Light Regiment.’ In 1882, he was serving at Curragh Camp, Ireland, where one of their children died in an accident aged 10 months. By 1883, he was serving at Chatham Dockyard, where another of their children died of ‘Black measles and Pneumonia’ aged 3 years, and where he fell off the roof of the Mess, and was unconscious for a week; though he later went on to have two more children. Towards the end of his working life, he was a carpenter at Woolwich Arsenal, where he was employed to make ammunition boxes. In 1891 & 1901, they were living at Plumstead, Kent. He died in 1909 at Plumstead, London S.E.18, aged 63 years; he was shown as a ‘Carpenter - Arsenal and Army Pensioner’. 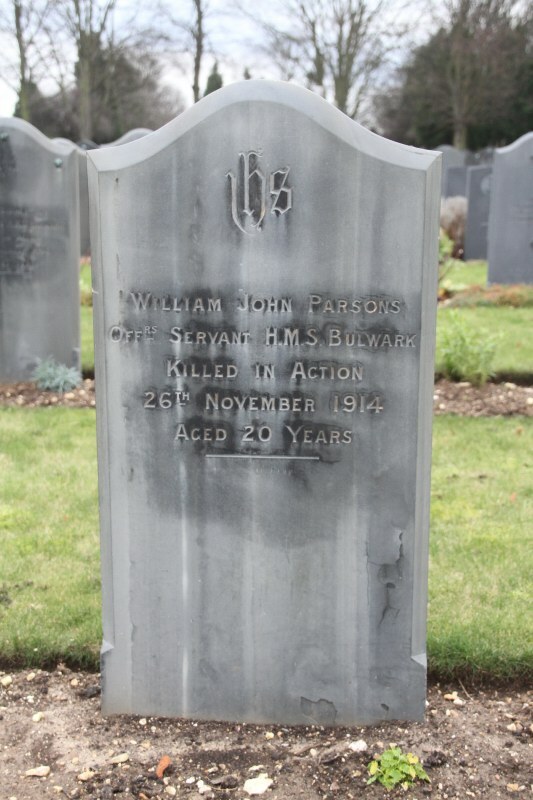 He was buried at Woolwich Cemetery. 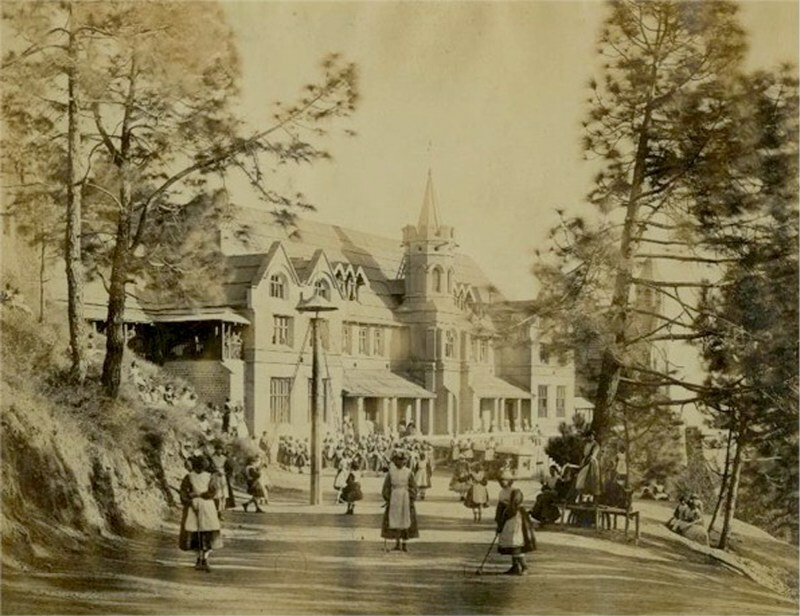 Harriet Shead was brought up and educated at the Lawrence Military Asylum (similar to the above) at Ootacamund, in the Nilgiri Hills, Tamil Nadu, India; she was the daughter of a deceased British soldier and his native, or Anglo-Indian, part-Tamil wife. Their son James Morrison was born in 1879 at Prospect, Hamilton, Bermuda. In 1898, he was a butcher living in Plumstead, Kent, when he enlisted in the Marines in London, aged 18. On 18.1.1901, as a 'Private C Co.', he joined H.M.S. Mars, which was one of the ships lining the route taken on Friday 1.2.1901 by Queen Victoria’s Funeral Procession, which left Cowes 3 o’clock, and arrived Clarence Yard, Gosport, at 5 o’clock. The ships that lined her route included the 'Mars'; the Marines were assembled on the Quarter Deck. 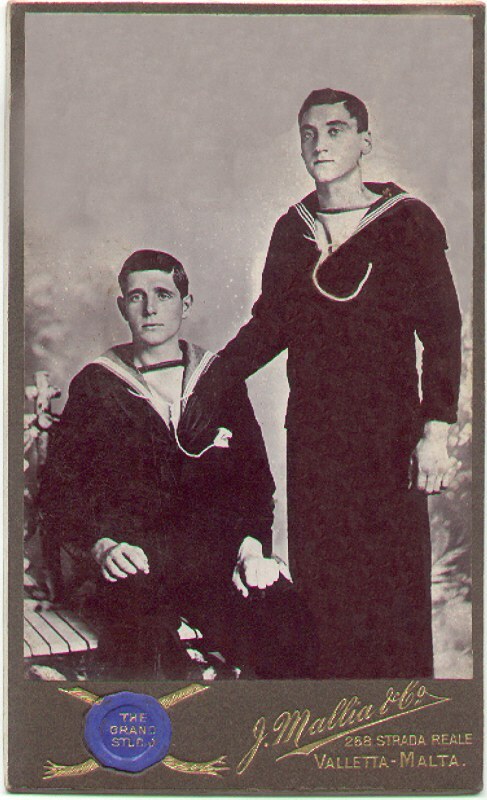 On 31.3.1901, he was in the Royal Navy living on board H.M.S. Mars off Gibraltar as, 'James Morrison, member of the crew, single, male, aged 21, Private R.M.L.I., born Bermuda. In 1904, when he married at Gosport, Hants., he was shown as a, 'Corporal Royal Marines'. In 1909, they were living at Walmer, Kent, and he was shown as a 'Sergeant Royal Marines'. He then became a Royal Marine Gymnastic Instructor. Sgt. 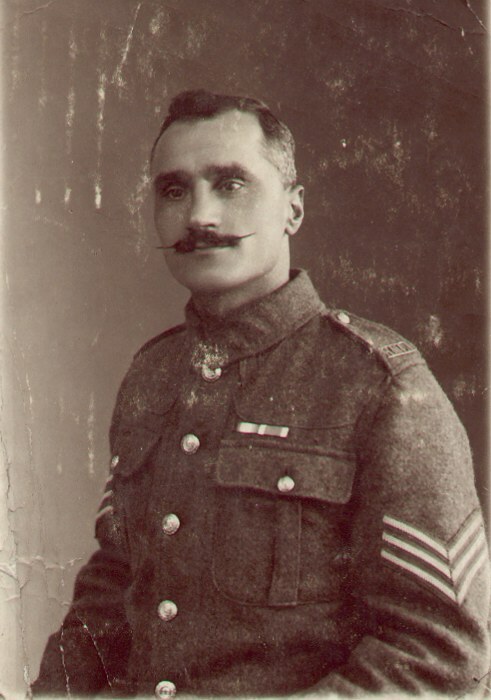 James Morrison, Royal Marines Light Infantry, who in 1924 enlisted in the Royal Marines Police. 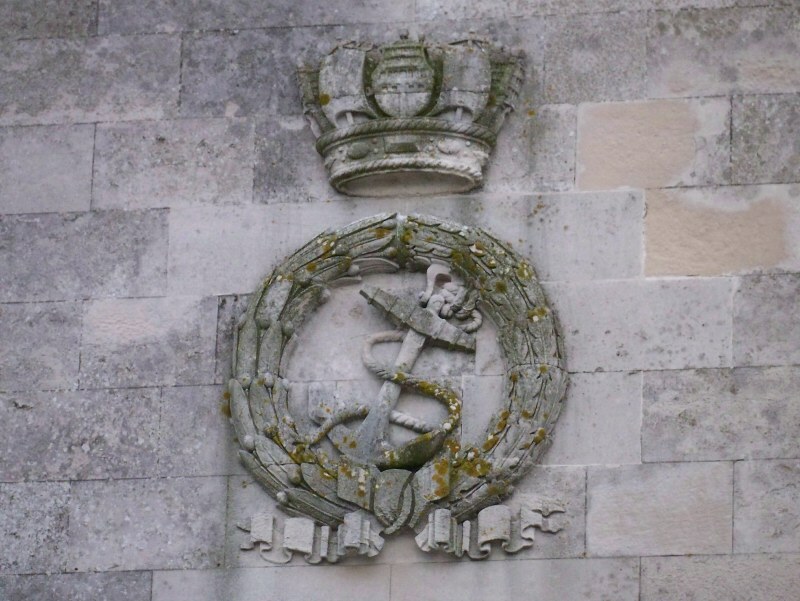 He was Pensioned as a 'Warrant Officer II, Royal Marines’. 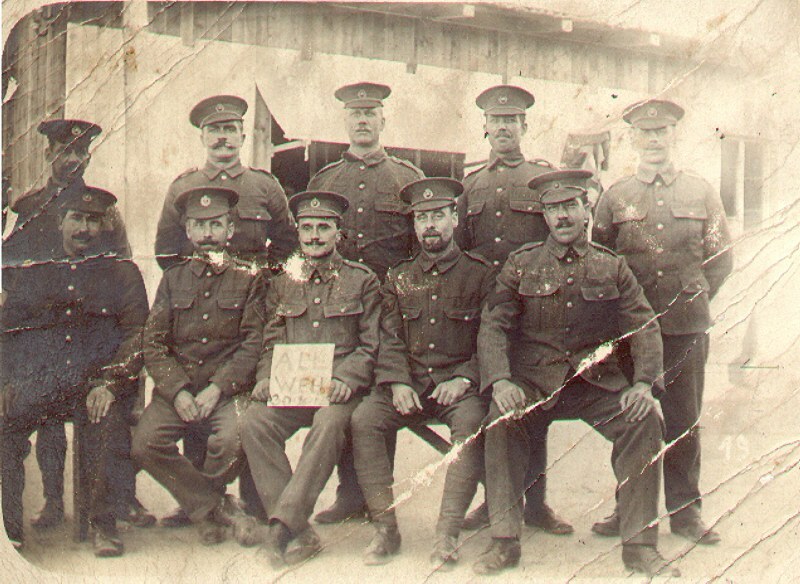 Towards the end of August 1914, the 'sirens' went off in Portsmouth calling the men to return to base according to their Standing Orders; they were off to war. He returned to his base with the other men and boarded a ship for France. The next day when he didn't arrive at the base for normal duty, enquiries were made at his home; when his wife explained that he had been sent off to the war the previous day, they seemed surprised and said, "He was a Physical Training Instructor, and was base staff; he wasn't supposed to go with them." - too late, he had gone to the war in France! 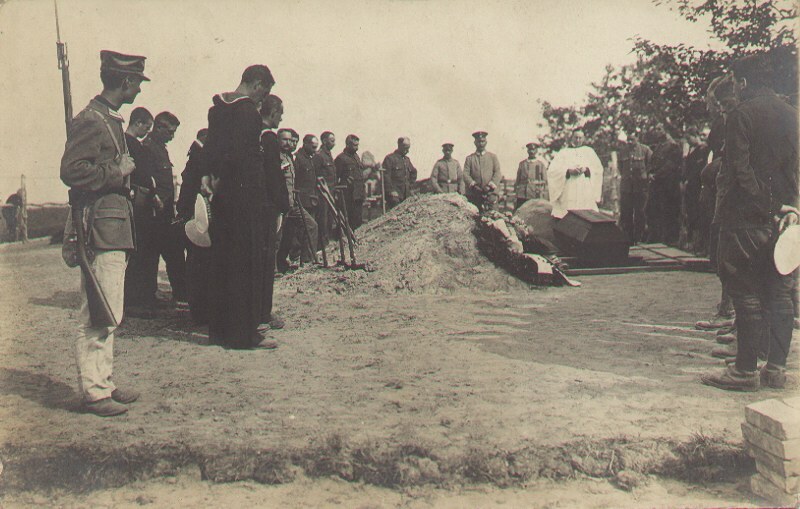 On 1.9.1914, he landed at Ostend as 'Sgt. D Comp. HMS Victory for R.M. Brigade'. From 19.9.1914 to 1.10.1914, he served at Dunkirk, in the defence of Antwerp. On 2.10.1914, he was taken Prisoner of War during Operations round Antwerp. From 1915 to 1917, he was, 'Ch. Sgt. D Comp. HMS Victory for R.M. Brigade'; and 1917 to 1919, he was, 'CSM (WO.II) D Comp. HMS Victory for R.M. Brigade'. On 12.1.1919, he was repatriated to England, and was, 'CSM (WO.II) D Comp. Portsmouth Divn.' In 1919, he was awarded the 1914 Star, and was enrolled in 'Class A of the Royal Fleet Reserve (Pensioned No. 19237) Reserve No. A 1201'. On 15.8.1919, he joined H.M. Coastguard (Of.No.Po./9697.) at the Coastguard Station, Netley Abbey, Hants., as a Coast Guard. 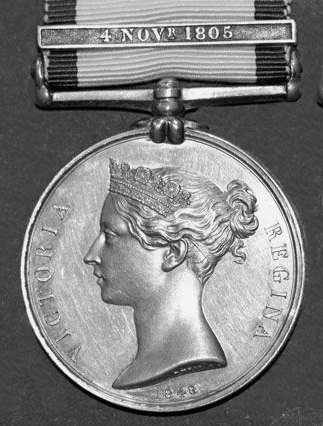 In 1921, he was awarded the British War Medal, and the Victory Medal. He was discharged on 31.3.1923 with compensation, on reduction of Coast Guard, and he re-enlisted in the 'Royal Fleet Reserve Class A, (No.A-1201)'. In 1924, he enlisted in the Royal Marines Police at Eastney Barracks, Portsmouth, and became a Constable, in Chatham Division. 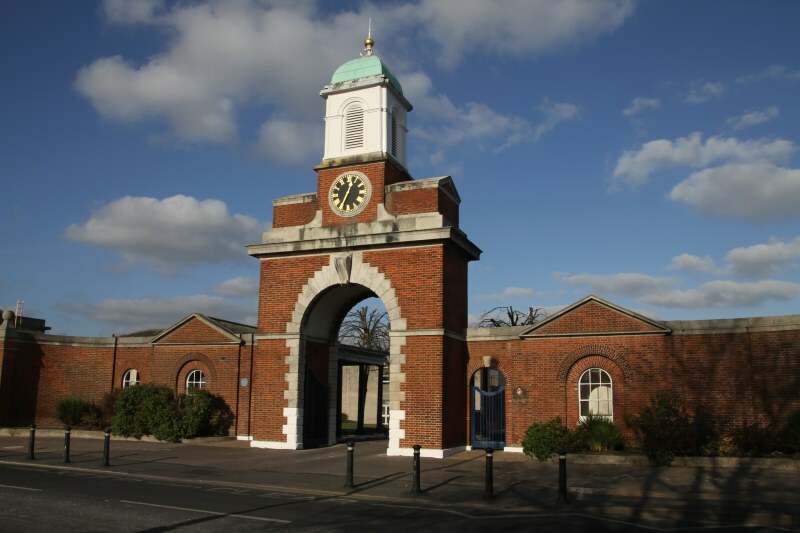 (Royal Marines College at Greenwich) until 1929; then as a 'Constable, Portsmouth Divn. Marchwood'; then in 1933 as 'Sergeant, Chatham Divison, Bandeath'. In 1936, he was discharged the Service at Bandeath – H.M. Dockyard, Rosyth, Scotland. i) 'Kriegsgefangen sendung', circular 'Freigegeben Doeberitz', and postmark 'Doberitz (Ubunerplatz?) 7.6.15.4-5N'. ii) 'Atelier Blommers, Prinsegracht 70, Tel 7981'. He was taken, as a ‘Prisoner of War’ in 1914, almost as soon as he got there. The Germans had told them, “The town is mined, we will blow it up if you don’t surrender.” So they surrendered to save the people in the town. The Germans used the British POWs as a 'Human Shield' on the Russian Front. They were separated from their officers and he complained that there were no NCOs with his men, so he was sent out with them. At the end of the day, he had to bring back those who were still alive, and they had to bury the dead each time - he did this for the best part of 5 years! 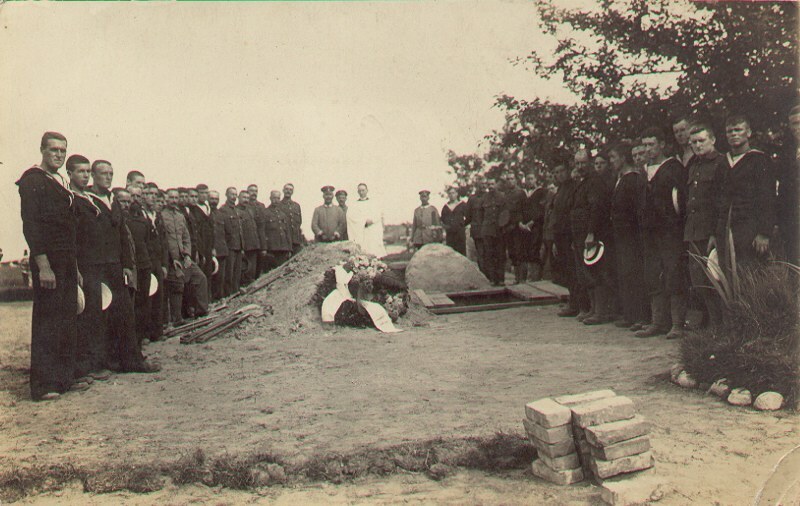 The daily task of burying British Prisoners of War who had died whilst being used by the Germans as a 'Human Shield' on the Russian Front - these were James Morrison's own photos. In 1918, when the Government declared that ‘all the troops were back’, his wife went to the Marine Barracks, in Gosport, Hants., to complain that her husband was still a prisoner. They checked and eventually found the Germans were holding some men back, including him. There were five known camps; so, she wrote to all five of them sending a postcard for him, and he got them all! He never spoke about the war when he returned. This long period of being a POW is why there was such a large gap between his first three sons, who were born before the war, and his fourth, who was born after it. 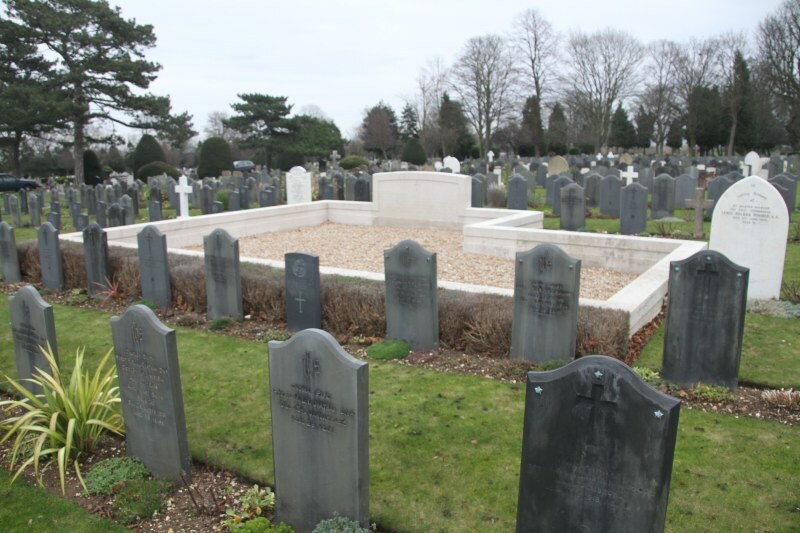 He died in 1957, aged 78 years, at Gosport, Hants., when he was shown as a ‘Pensioned Warrant Officer II, Royal Marines’. 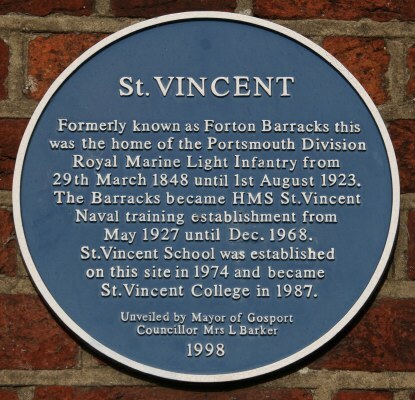 James Morrison served in The Royal Marines Light Infantry, Portsmouth Division at Forton Barracks, Gosport, Hampshire, which was known as HMS St. Vincent from 1927. There is a Museum in the old gate buildings, but is currently 'in storage' during building works there. 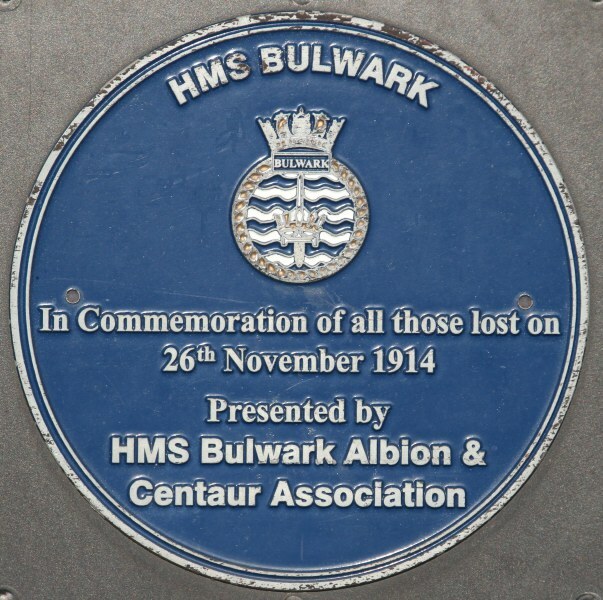 In 1914, HMS Bulwark was a 'London Class' pre-Dreadnought battleship; she was neither fast enough nor sufficiently armed to serve with the Grand Fleet, so her role at the start of WWI was with the Third Fleet as part of our Channel Defences. 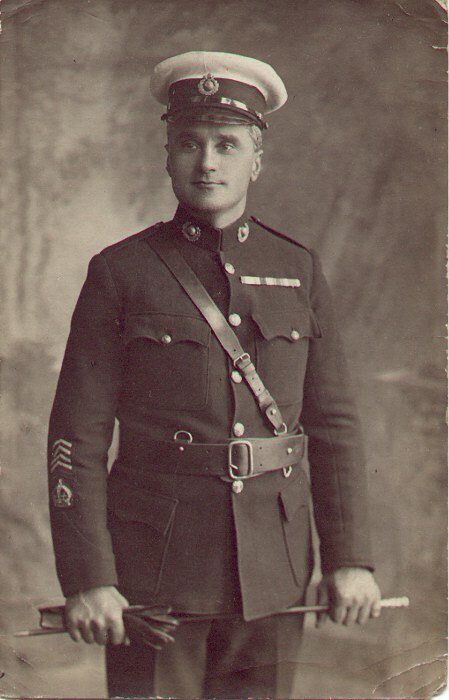 Alfred Morrison, Corporal PO/15260, H.M.S. “Bulwark”, Royal Marine Light Infantry who died on Thursday, 26th November 1914, when his ship exploded at Sheerness, Kent. 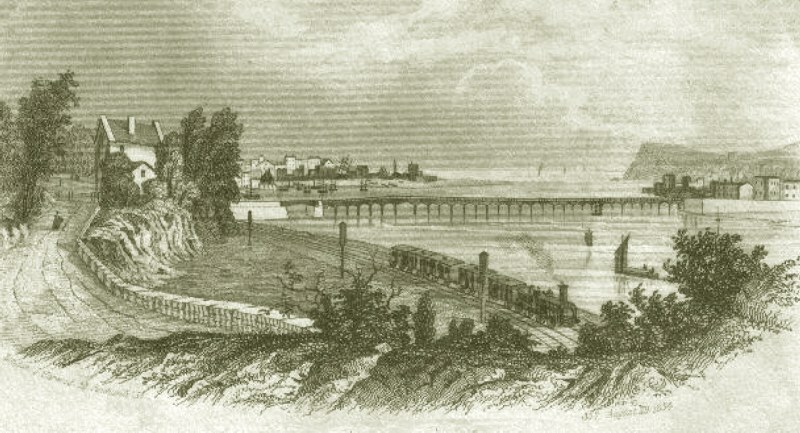 A terrible catastrophe occurred in the Channel Fleet at Sheerness, Kent. 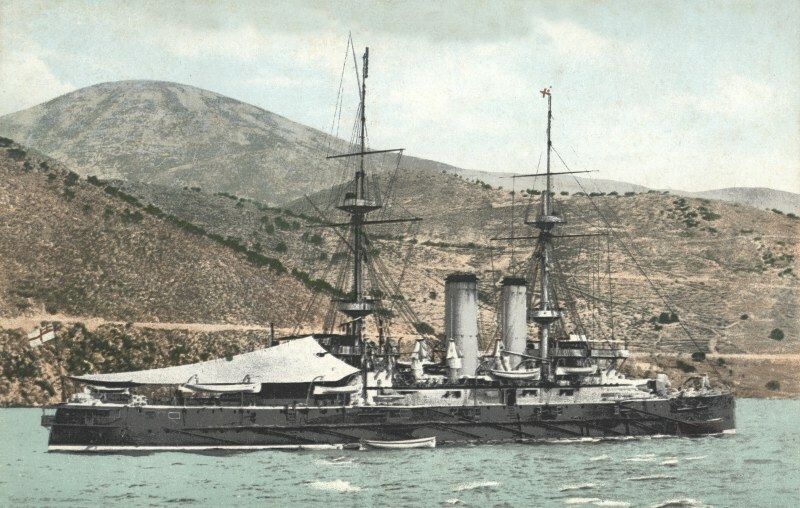 The 5th Battle Squadron, in pursuance of the new disposition, had arrived there on November 15, and on the 26th the Bulwark, a battleship of 15,000 tons under Captain G.L. Sclater, was taking in ammunition when she suddenly blew up with an appalling explosion. When the smoke cleared she had entirely disappeared, and of her complement of 750 only twelve lives were saved. The suddenness and completeness of the disaster seemed unaccountable. For some time foul play was strongly suspected, and did little to lighten the moral effect of the blow, and it was not till the middle of December that a court of inquiry established that the explosion was due to accidental ignition of ammunition. "Lieutenant Benjamin George Carroll, assistant coaling officer at Sheerness, in his evidence at the coroner’s inquest, said that he was passing down the Medway at 7.50 a.m. on the morning of the 26th. The Bulwark was then lying in Rithole Reach, and there was nothing alongside her. Just as he was noticing a signal indicating the number of tons of coal on board her he saw a spurt of flame abaft the after barbette. Then the whole volume of flame seemed to rush towards the after funnel. The whole interior of the ship seemed to be blown into the air, and everything seemed alight. He observed no disturbance of the water. It was quite calm, and there was no tide. He at once turned his boat back to render assistance, and was able to pick up two men, including an officer. He was convinced that there was an internal explosion." H.M.S. Bulwark off the coast, probably near Valletta, Malta c1905. 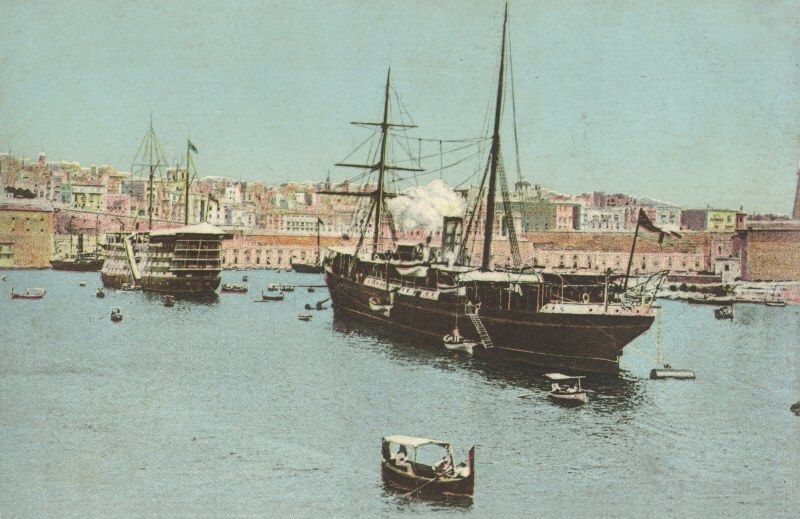 The Grand Harbour, Valletta, Malta c1910. 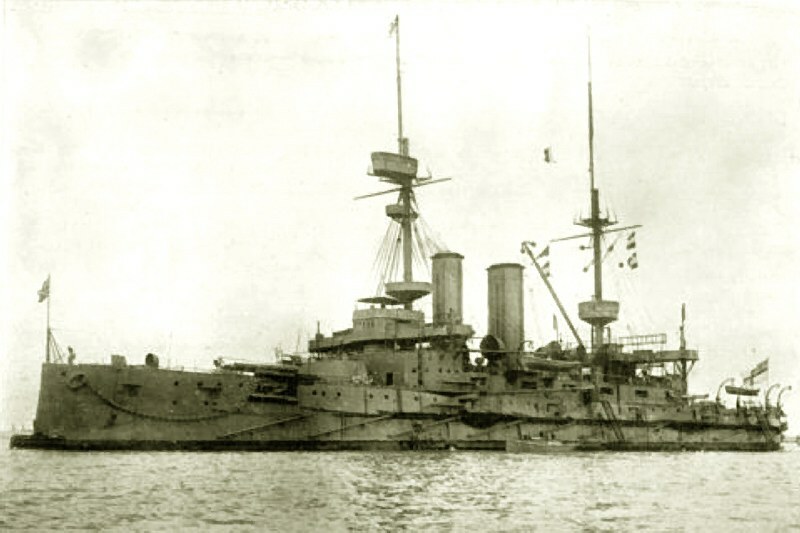 H. M. S. Bulwark c1905, with Vice-Admiral Lord Charles William de la Poer Beresford K. C. B. (1846–1919) inset. 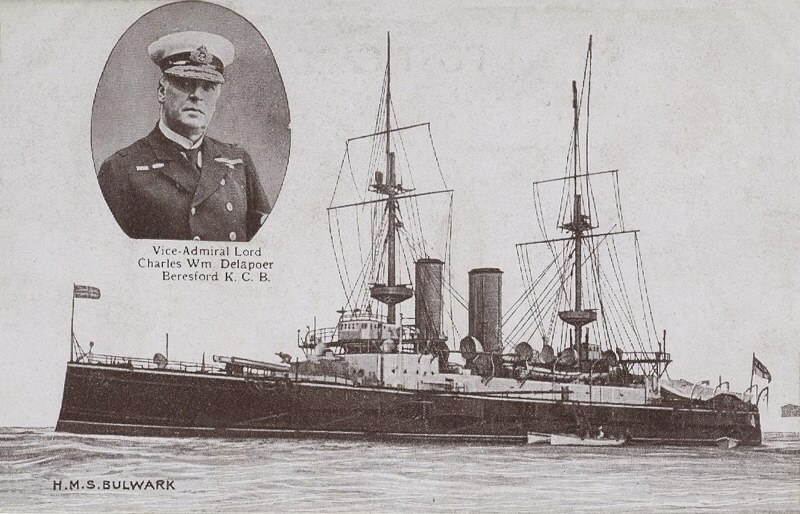 He officially succeeded Domvile as Commander-in-Chief with the Acting Rank of Admiral on 6 June 1905, at Malta. The Bulwark, flying Domvile's flag, took him to Genoa for passage home. H.M.S. Bulwark destroyed by an onboard explosion on 26.11.1914 whilst loading coal at Sheerness, Kent; this appears to have been an accident, as there was no evidence of enemy action. 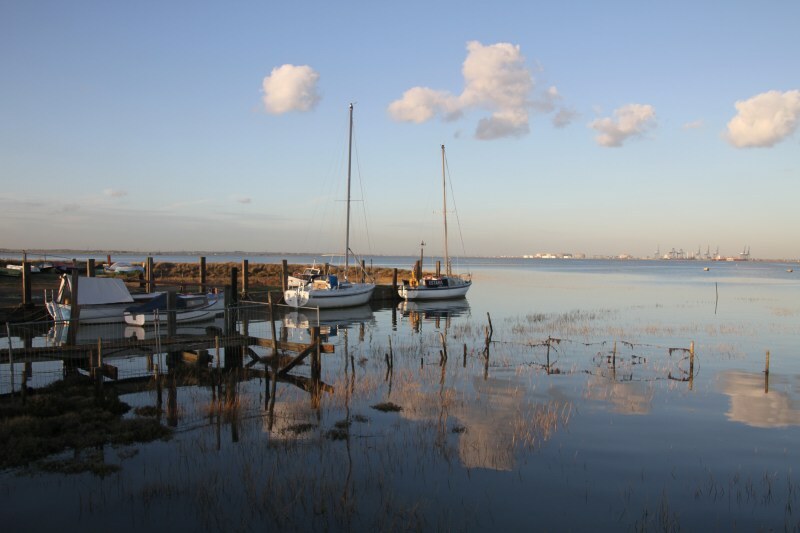 The river Medway at Ham Green, near Gillingham, Kent; the northern part of Kethole Reach is in the distance on the left behind the boats. Kethole Reach on the river Medway, Kent. This section of the Medway estuary is about half-way between the river Thames and the old Royal Navy Dockyard at Chatham, Kent. Kethole Jetty can be seen across the centre of the view on the far shore; the wreck of HMS Bulwark is in the main channel between a red and a green buoy near this jetty. If you visit this area, do not wander off the paths as you will not return from the deep mud! The Medway estuary near Sheerness looking towards Kethole Reach, Gillingham & Chatham, Kent. The above photo is of the river Medway estuary looking south west from Sheerness, Sheppey Island, Kent towards the graveyard at Gillingham, Kent & the site of the HMS Bulwark wreck, which is in Kethole Reach close to the factory with the tall chimney in the centre distance. 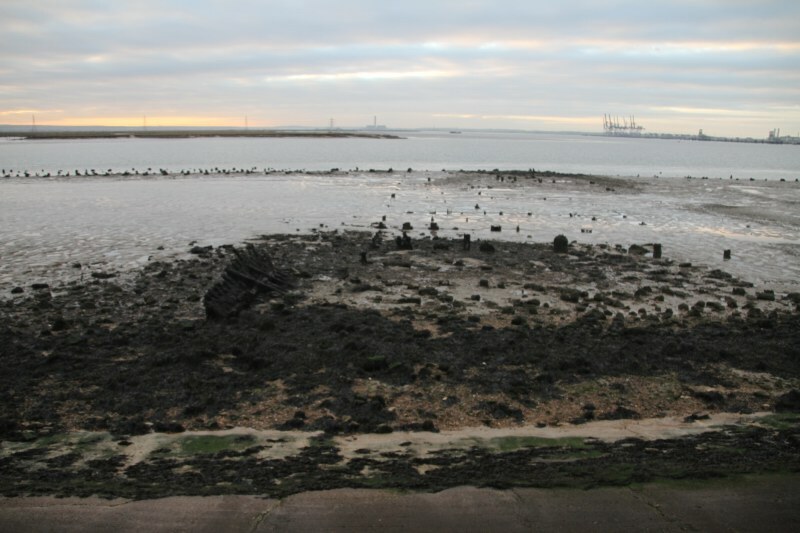 It is not physically possible to approach the wreck site other than by boat, as most of the 'land' around the site is formed of extremely dangerous mudbanks, with the small amount of 'hard' land nearby occupied by a secure industrial site. It is possible to view an aerial photograph of the site via 'Google Earth' at map reference: 51º 25' 22.41" N / 0º 39' 10.77" E. [If you don't already have 'Google Earth', there is a free download at: Google Earth.] However, nothing is visible above sea level, even at low tide. The wreck is between a red marker buoy and a green marker buoy opposite Kethole Pier (private with no access) - please be aware that there are numerous pairs of these red & green buoys marking the navigable channel in the Medway river estuary from the Thames Estuary, past Gillingham. to the old Chatham Dockyard. This wreck-site is protected by legislation as a 'war-grave', but is locally renowned as a good boat-fishing location; so, you may be able to get a local fisherman to take you out to the wreck? 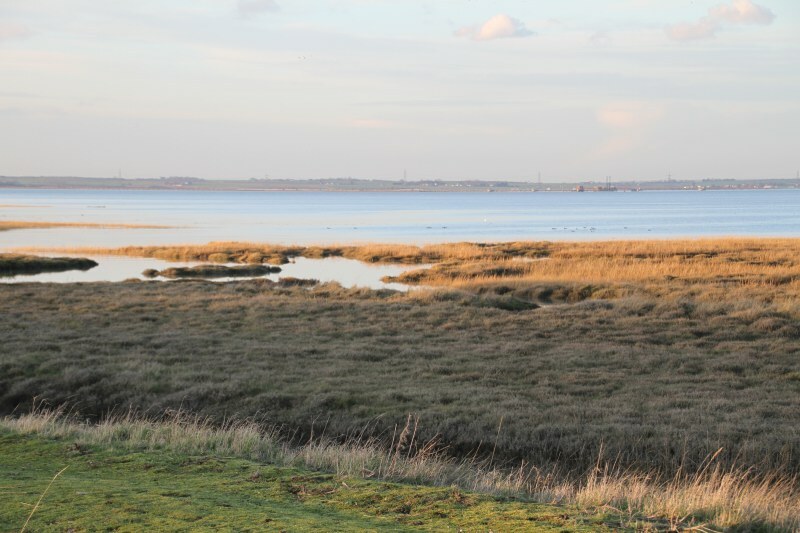 The photo above also shows the area known as Chetney Marshes, where 19th century Napoleonic French Prisoners of War Hulks and later quarantined Victorian ships were moored in the Medway estuary. The distant soft-mud-covered island on the left is known as Dead Man's Island, where those that died onboard these ships were buried - French prisoners and English sailors alike - please see the memorial below. NB. If you walk anywhere in this area, please note that anything that looks like thick dumped concrete at the water's edge is actually thick, sticky, soft mud several inches (if not feet) deep - and I thought it was hard concrete at the end of the ramp as I strode out to the end to get a better photo! Seriously now, some areas around the Medway estuary are extremely dangerous, so please don't wander off prperly made-up paths on your own. 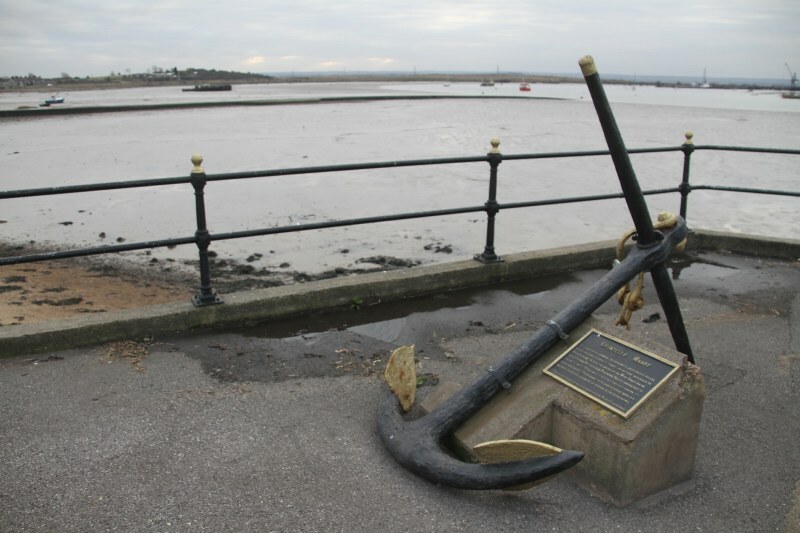 An old anchor with a memorial plaque at Crundells Wharf, Sheerness, Isle of Sheppey, Kent; see close-up below. 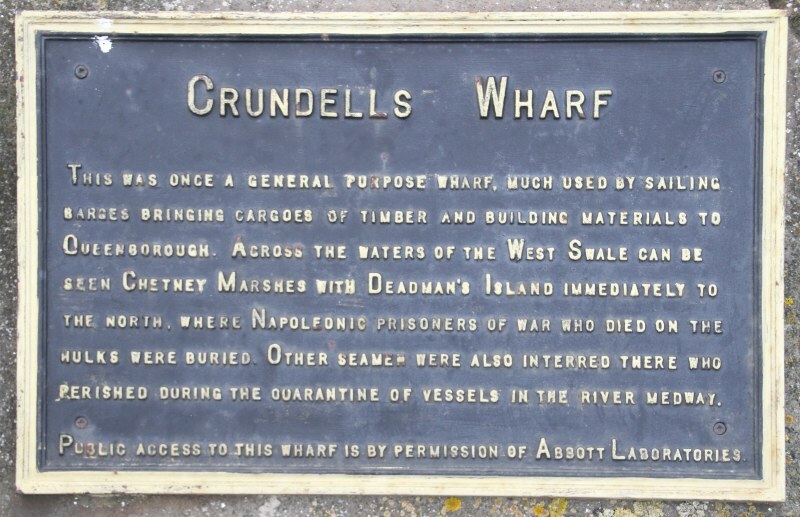 This is the only memorial that I am aware of near the site of Dead Man's Island; it is at Crundells Wharf, Sheerness, Isle of Sheppey, Kent. The wreck of SS Richard Montgomery, an American Liberty ship wrecked off the Nore in the Thames Estuary in 1944, is situated closest to the beach at Sheerness, on the Isle of Sheppey, Kent, being 1.5 miles north of Sheerness and 5 miles south of Canvey Island, Essex. This photo was taken looking north from Sheerness beach across the Thames estuary towards Canvey Island. Both of these populated areas are in constant danger from the approximately 1,400 tons of explosives on board, which are getting more unstable as time passes and the shell cases rot in the sea. The site has always been too dangerous to be cleared - so everyone just sits and waits, in the hope that a spring tidal surge will not set it all off one day! NB. It is forbidden to approach this wreck; this is with very good reason, so don't even try, not even to fish there! 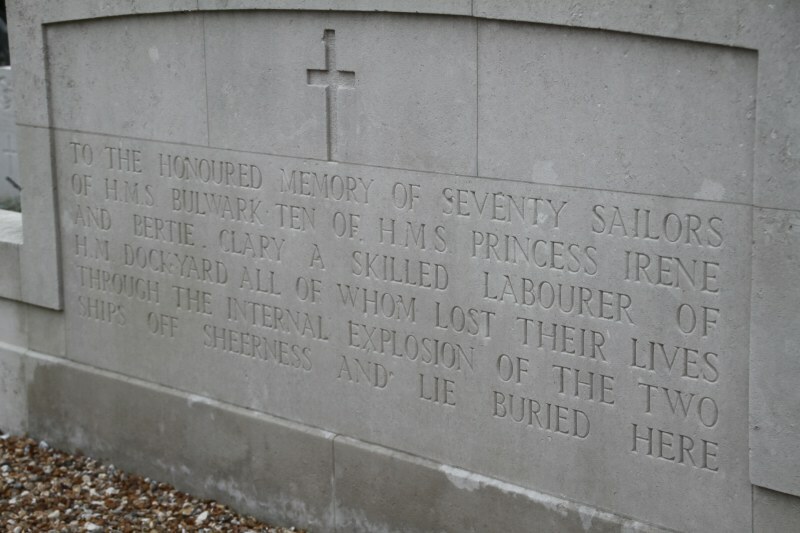 The communal grave at the Naval Burial Ground at Woodlands Cemetery, Gillingham, Kent, which has 70 unidentified bodies from the HMS Bulwark explosion, plus others from a similar wreck. 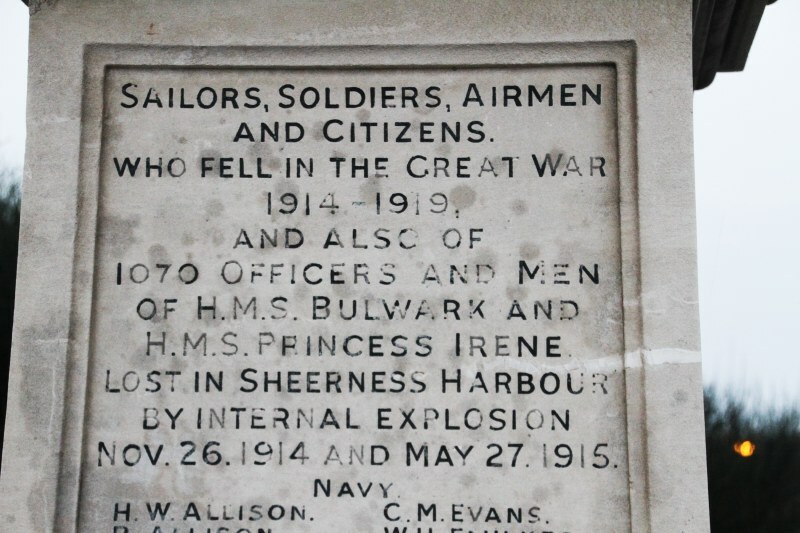 The War Memorial opposite Sheerness Railway Station mentions the 1070 Officers and Men who died in the wrecks of HMS Bulwark & HMS Princess Irene, but does not name them; the names listed on this memorial are local men who died during the two World Wars [see below]. A plaque erected behind the above memorial to commemorate the 90th Anniversary. 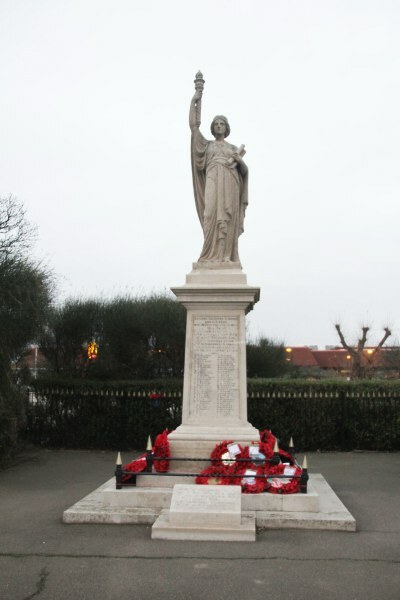 The Naval Memorial, Southsea Common, Portsmouth, Hants. 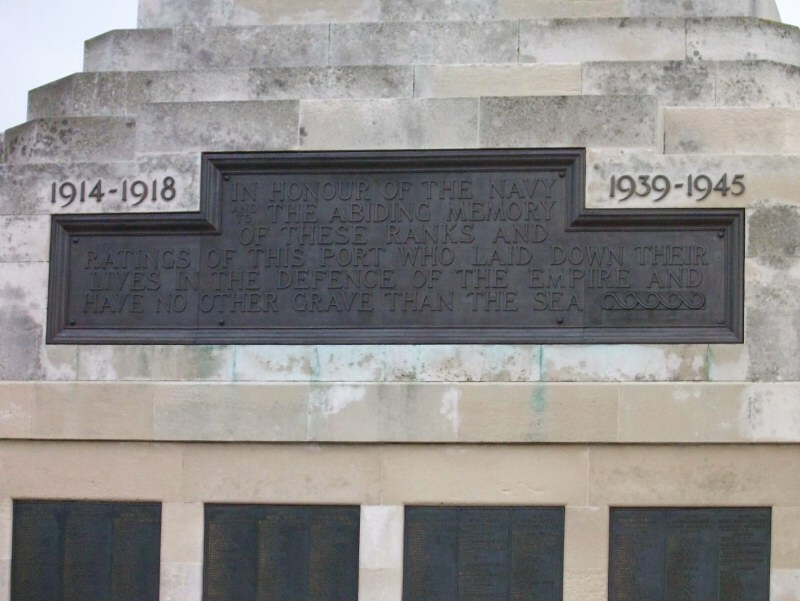 The bronze plaques on the front of the Naval Memorial, Southsea Common, Portsmouth, Hants. The right-of-centre south-side memorial plaques that face the sea - Corporal A. Morrison, Royal Marine Light Infantry, died 26.11.1914. 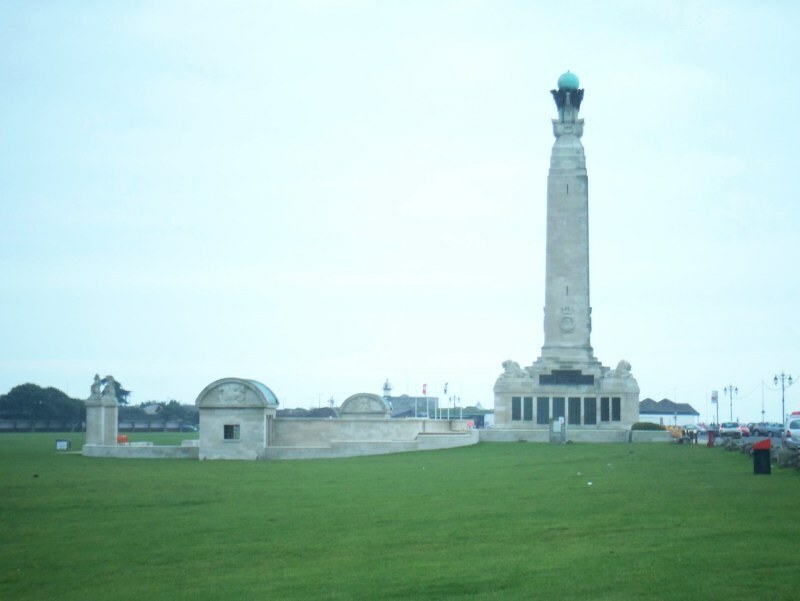 A short walk to the east of the above memorial is The Royal Marines Museum, Eastney Esplanade, Southsea, Portsmouth, Hants., PO4 9PX. The Royal Marines Museum, Eastney Esplanade, Southsea, Portsmouth, Hampshire. This stunningly beautiful building is reminiscent of British Military and Colonial Government buildings around the world during the 18th & 19th centuries. It contains very interesting displays, a brilliant medal collection, and numerous oil paintings (see below), including several Monarchs; you can even book the main room for weddings and functions. 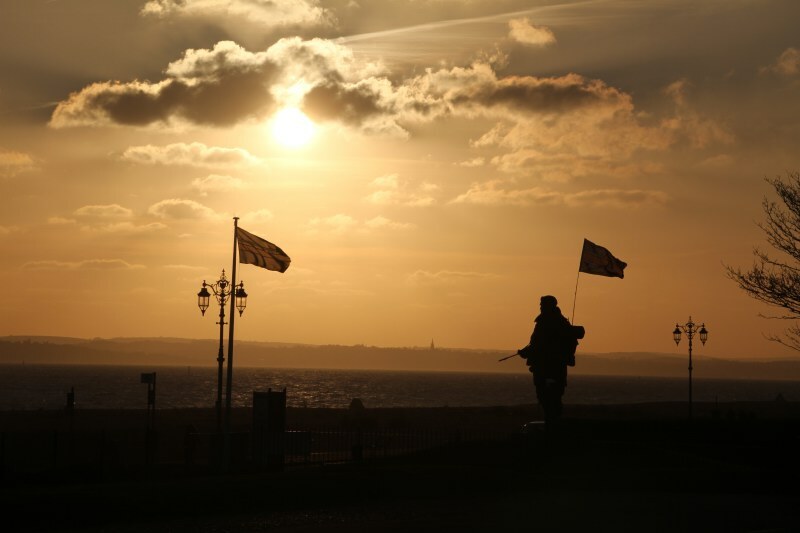 The large 'Royal Marine' statue looking out over The Solent towards the Isle of Wight from the Museum Car Park at The Esplanade, Southsea, Portsmouth, Hampshire. William Somerville Cottier (1862-1937), the father of Mona Eunice Cottier (below). He was a Monumental Mason, and a Freemason, with his business in old wooden shack in Efford Road, Plymouth, Devon, which was taken over when he died, by Endacott, then by Snowdon, then by the Co-op about 1972/3. His son Ernest Cottier started a similar business across the road from his after a family dispute. William Somerville Cottier also had a business at Northolt Station (presumably the one in West London, as we can't find one in the Plymouth area). In the 1930s, during his retirement, he lived at 'Bar Lock', 18, Hazelwood Terrace, Peverell, Devonport, Plymouth, Devon. 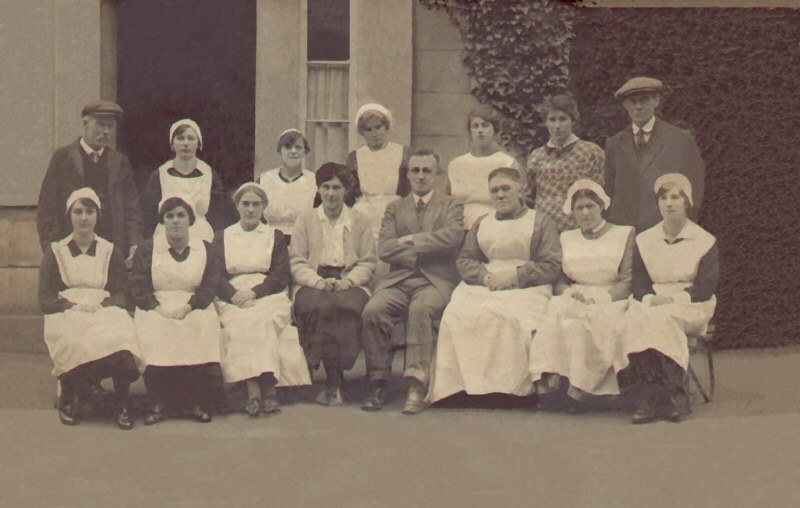 His daughter, Mona Eunice Cottier, 'in service' as an under-maid at Plymouth, Devon about 1917. She took the job when she was 15 and stayed there for 3 years until she joined the Royal Flying Corps. She is shown standing third from the right in the back row of this photograph. 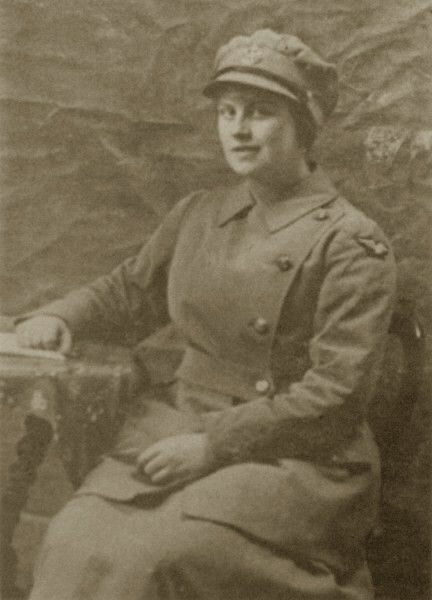 Mona Eunice Cottier (1899-1946) about 1917 in her Royal Flying Corps, uniform. She joined the Royal Flying Corps (Women’s Section) about 1917, aged 18, and served at Blandford Down, near Salisbury, Wilts., which was the nearest camp to where she was formerly an under-maid (see photo above). In 1923, she married Thomas Richard Northway Kearley; they were the parents of Eunice Katherine Elizabeth Kearley, who married Ronald Compton Morrison, the son of James Morrison above. She was my wife's maternal grandmother. The Royal Flying Corps was formed on 13th April 1912 to assist the army and navy as aerial observers; they became the Royal Air Force on 1st April 1918. Women Legion drivers were attached to the RFC and wore the Royal Flying Corps (RFC) shoulder flash and cap badge in the autumn of 1917; they were absorbed into the Women's Royal Air Force when it was formed in 1918. See: Women in Royal Flying Corps. 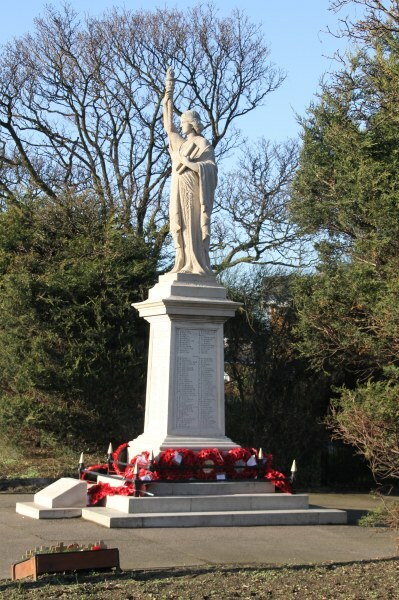 & Women's Legion Drivers & Women's Legion Auxillary and Women's Royal Air Force & Women drivers of the Royal Flying Corps & Women's Royal Air Force (WRAF) & Women's (later Queen Mary's) Army Auxiliary Corps (1917-1920). 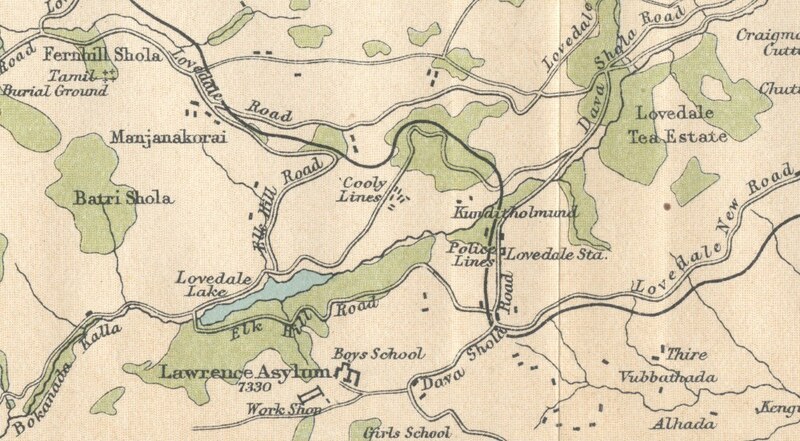 That 'employee', the first to be killed on this railway line, was my wife's maternal great great great grandfather John Osborn Kearley, who was a Foreman of the Porters on the South Devon Railway. He was christened ‘John Kerly’ on 8.9.1816 at Wembury, Devon, the son of Benjamin Howard Kerly, a seaman, and Ann Osborne. He died on 27.4.1848, after being crushed by the wagons of the first ever train at Blatchford Viaduct, Plympton St. Mary, Devon, leaving a wife and three children. On 29.7.1838, he had married Philippa Northway at the parish church of East Stonehouse, Devon. 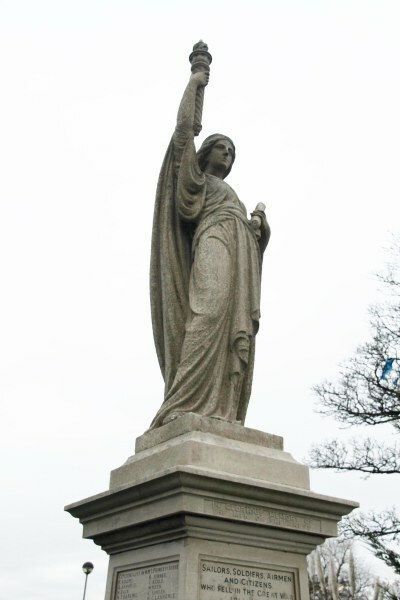 They had five children in all, but only two survived: Elizabeth Matilda Kearley (1839-1842); John Tremayn Kearley (1842- ); Thomas Benjamin Northway Kearley (1845-1846): Thomas Benjamin Northway Kearley (1846-1881); Benajmin Osborne Kearley (1849-1849), whom she was carrying when her husband was killed. After his death, and the loss of his wages, their elder son was sent off to an orphanage, as his widow could no longer care for two growing boys. Their younger son was still at home in 1851, aged 5. There was no 'Welfare State' and obviously no financial responsibility for the employers, and probably little or no compensation either. Though in 1861, aged 18, he and his 14-year-old brother were railway engine cleaners, and were both living with their mother again. Maybe the railway company did try to 'look after' them by giving them employment. Both sons grew up to marry and have children, though the younger son was to die young, aged only 34. His father, Benjamin Howard Kearley (alias Curley), was born about 1779/80 in Kent. 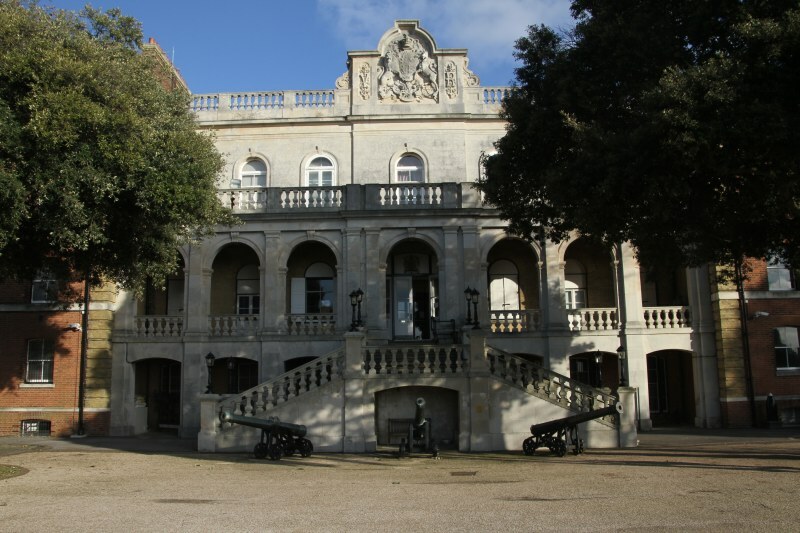 As a sailor in the Royal Navy, he served as an Ordinary Seaman onboard HMS Thames at Saumarez in the 'Gut of Gibraltar' on 12 July 1801, when his ship saw action against the French and Spanish squadrons, destroying 2 Spanish ships of 112 guns each; and capturing the "San Antonio" of 74 guns. The Battle of Trafalgar, having been fought on 21st October 1805, was followed by lesser actions against French and Spanish ships. During one such event, he served as a Coxswain onboard HMS Namur on 4th November 1805, when his ship was involved in the Battle of Cape Ortegal (also known as ‘Strachan’s Action’); it was the final action of the Trafalgar Campaign. He served at Copenhagen in 1807 and at 'Basque Roads' in 1809, when his ship was involved in the destruction of French shipping, both whilst a '2 Master' onboard HMS Valiant. He held the Naval General Service Medal with three clasps: 'Gut of Gibraltar 1801', '4th Novr. 1805', 'Basque Roads 1809' (see further information re a 4th clasp below). He died in 1859 at Plymouth Devon, as a Navy pensioner ('Greenwich Pensioner') aged 79. 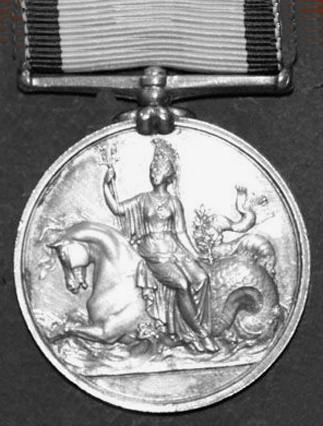 A Naval General Service Medal with the '4th Novr. 1805' clasp. 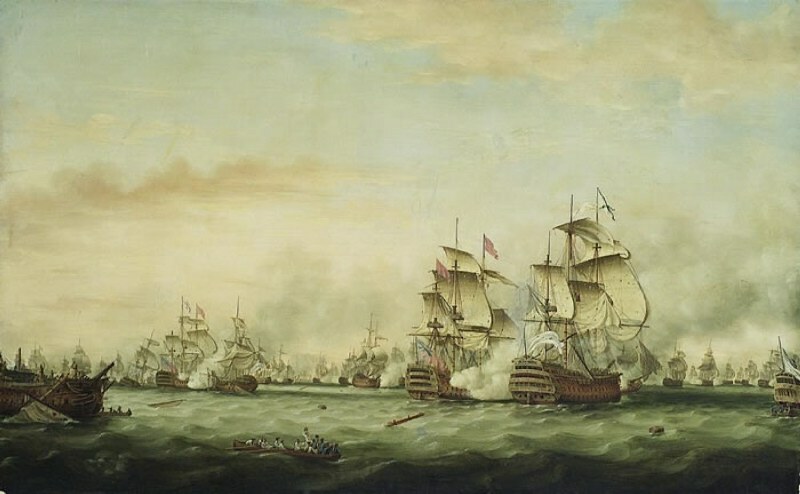 The Battle of the Saintes, by Thomas Whitcombe, a scene similar to The Battle of Trafalgar in 1805. 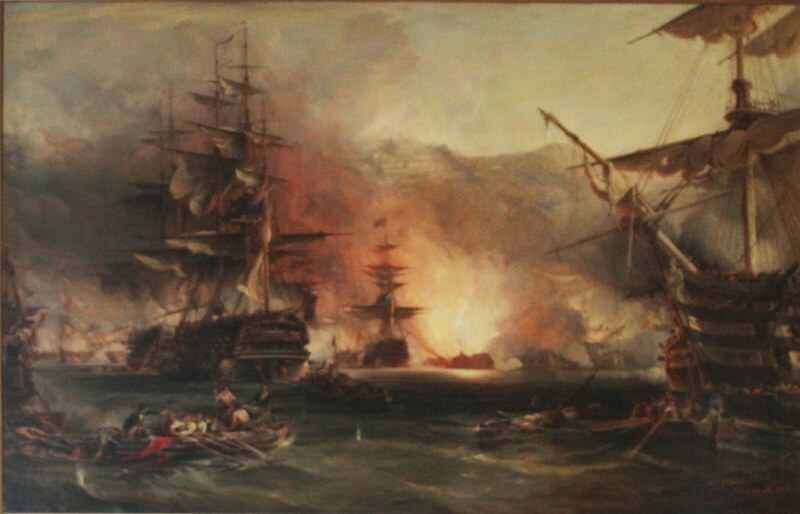 An oil painting of the Bombardment of Algeria, 1816, at The Royal Marines Museum, Eastney Esplanade, Southsea, Portsmouth, Hants. It gives some idea of a sea battle about this time. This, and several other paintings are in the main room that is let for functions. 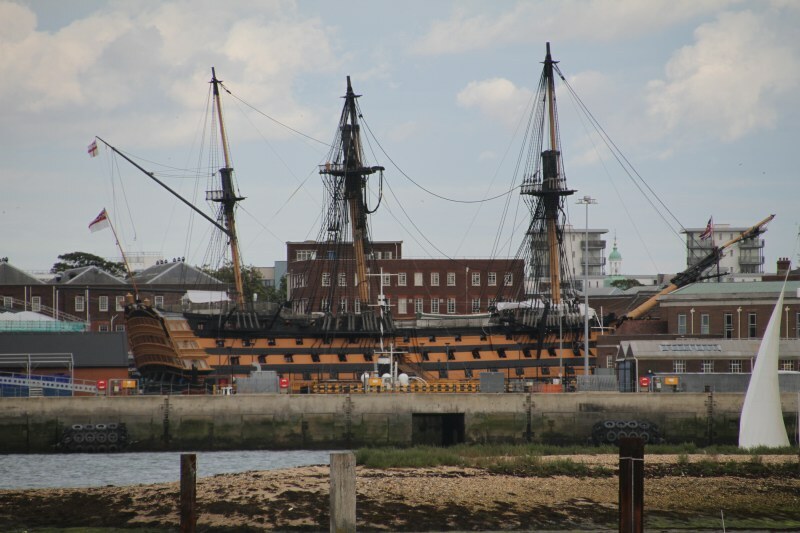 HMS Victory in No2 Dry Dock at Royal Naval Dockyard at Portsmouth, Hants. HMS Victory was launched in 1765 at Chatham Dockyard in Kent and was in active service for 34 years, including at the Battle of Trafalgar in 1805 as Admiral the Lord Nelson's Flagship, on board which he died during the battle. 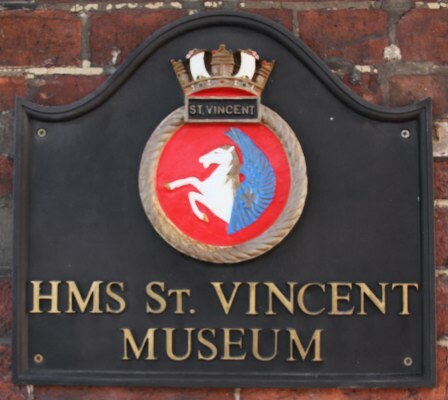 The ship is now fully restored and is opened to the public in Portsmouth Dockyard, which also contains the remains of King Henry VIII's ship the 'Mary Rose', and many other attractions for a great day out. 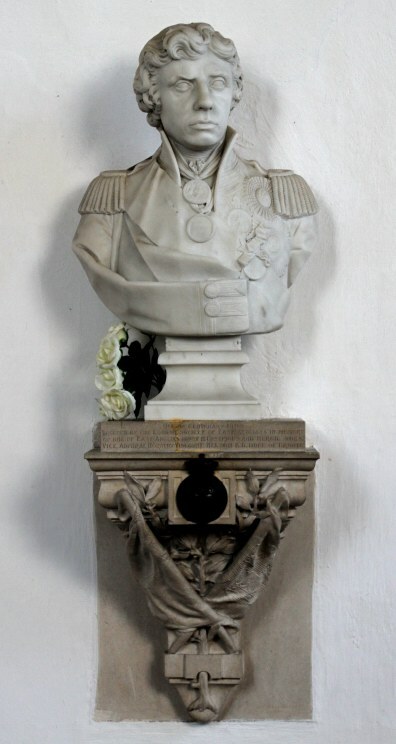 Memorial to the Memory of Admiral the Lord Nelson at the Parish Church of All Saints, Burnham Thorpe, Norfolk. 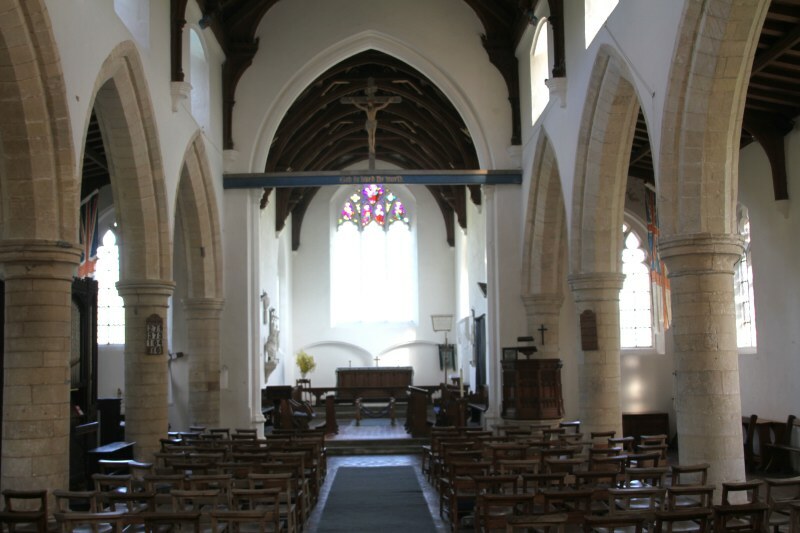 The Memorial to Admiral the Lord Nelson on the north side of the Sanctuary at the Parish Church of All Saints, Burnham Thorpe, Norfolk can just be seen on the wall to the left of centre in this photograph. 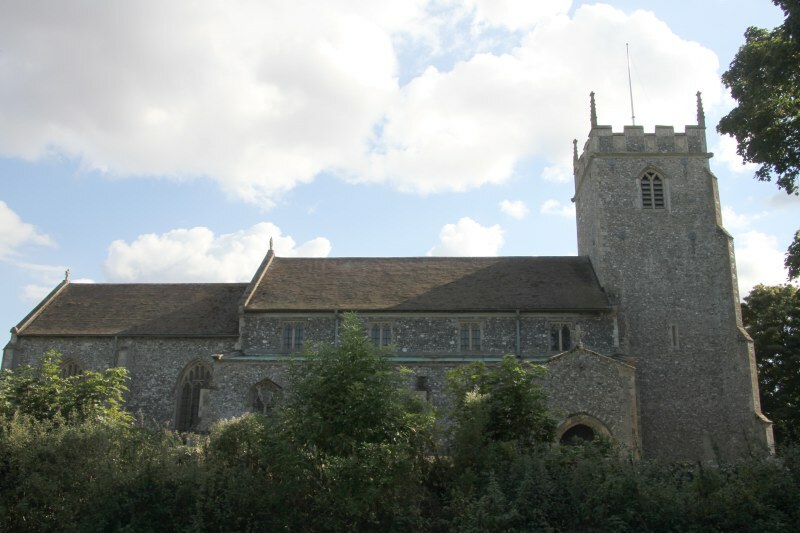 The Parish Church of All Saints, Burnham Thorpe, Norfolk, where Admiral the Lord Nelson's father, Edmund Nelson, was the Vicar from 1755 to 1802, and thus where he was brought up as a child. 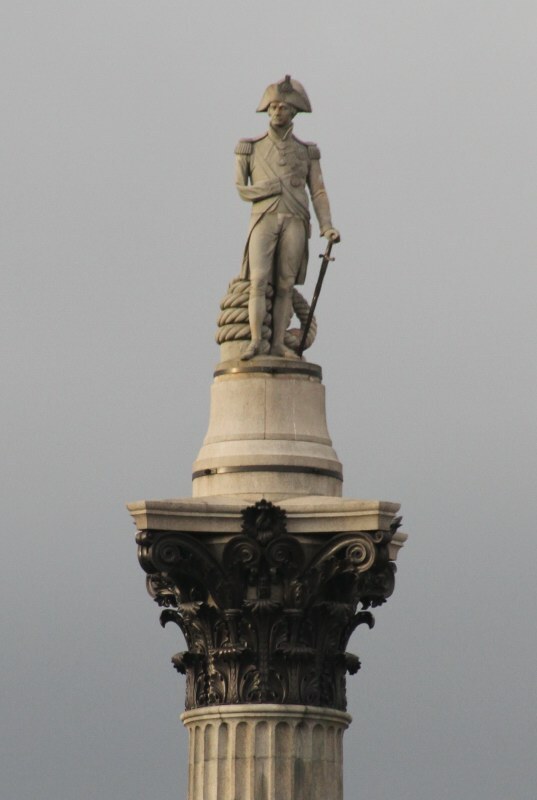 The famous Nelson's Column at Trafalgar Square, Westminster, London. I was told, many years ago, that the rope at his feet was coiled the wrong way round as Royal Navy Regulations apparently stated that it should be coiled in the opposite direction. I still don't know if that is correct, nor whether this was accidental or deliberatly symbolic in some way of his loss at sea? Maybe it isn't even true and is just another 'urban legend'? Anyway, it is a tiny statue for such a giant column and looks quite lost so far up on the top overlooking London.